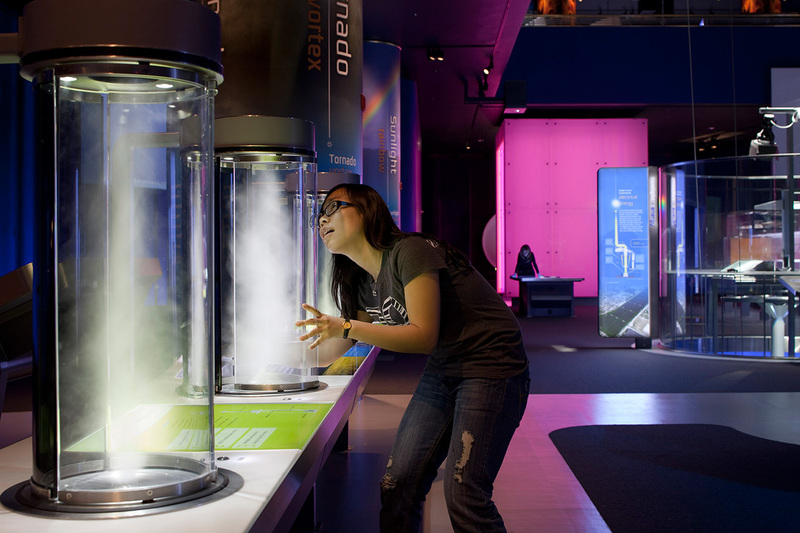 Science Storms is a groundbreaking permanent exhibition that transforms Allstate Court into a wondrous laboratory where visitors interact with large-scale experiments that explore nature’s most powerful phenomena. Visitors to Science Storms embark on the adventure of science, which emerges from the innate human desire to understand our physical world. 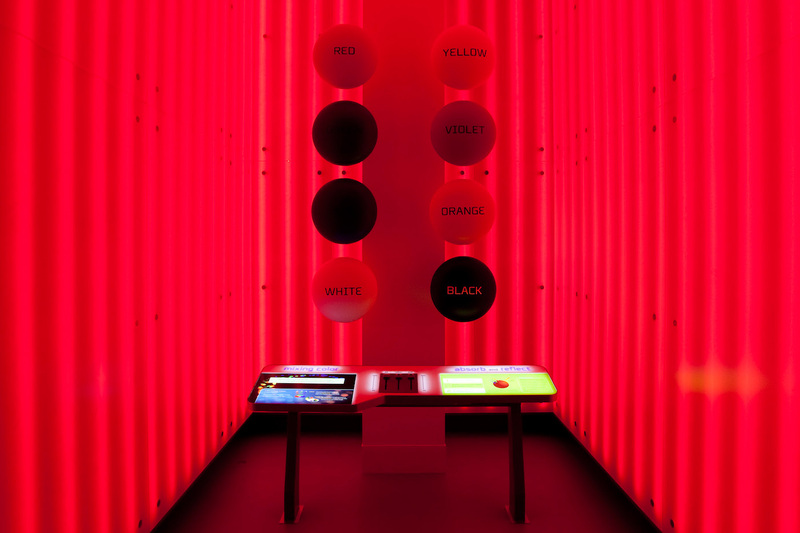 The synthesis of compelling interactive exhibits, environmental media, and strong contextual storytelling sets a new paradigm for what science museums can achieve. 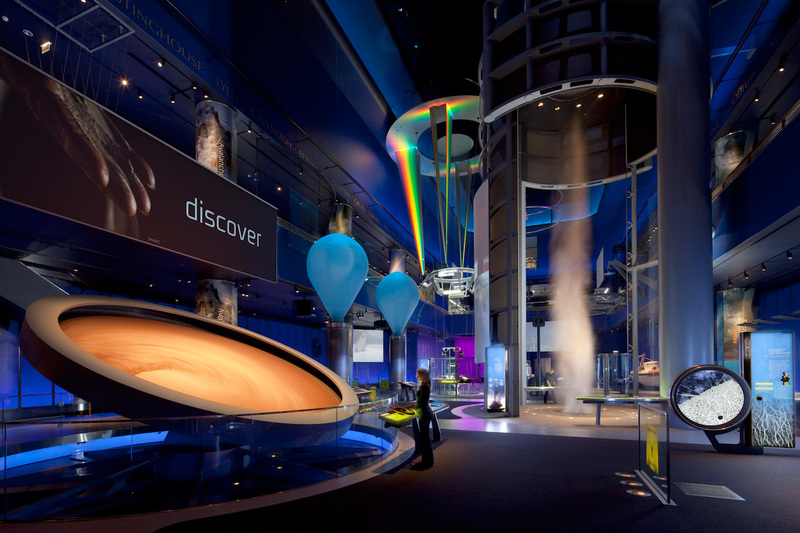 To create Science Storms, Evidence Design nurtured a deep collaborated partnership with the Museum of Science and Industry, Chicago — from the earliest planning studies developed in 2003, through feasibility studies, concept and design development, detailing, and final installation. Working hand-in-hand with MSI staff, Evidence Design crafted an interpretive dialogue to provide a rich, compelling context for these dynamic, visceral experiences. 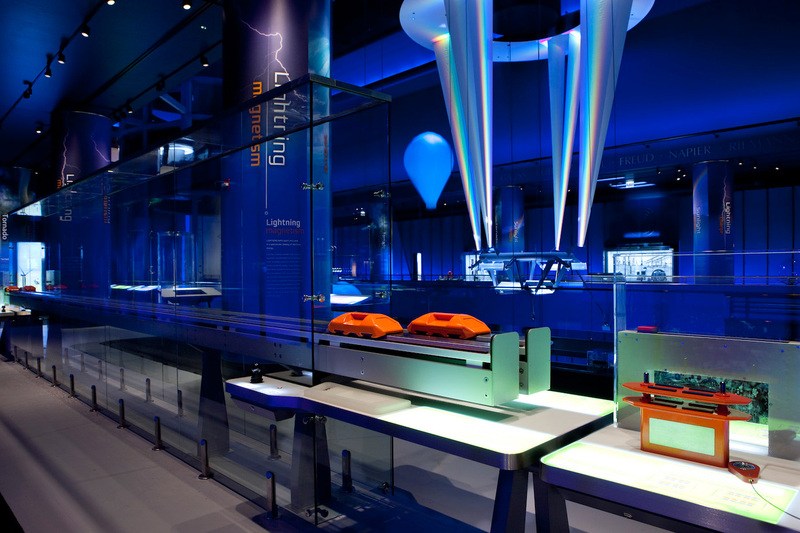 Evidence Design worked with an incredible team of industry specialists, artists, and scientists to develop cutting-edge, technically sophisticated experiment-exhibits. 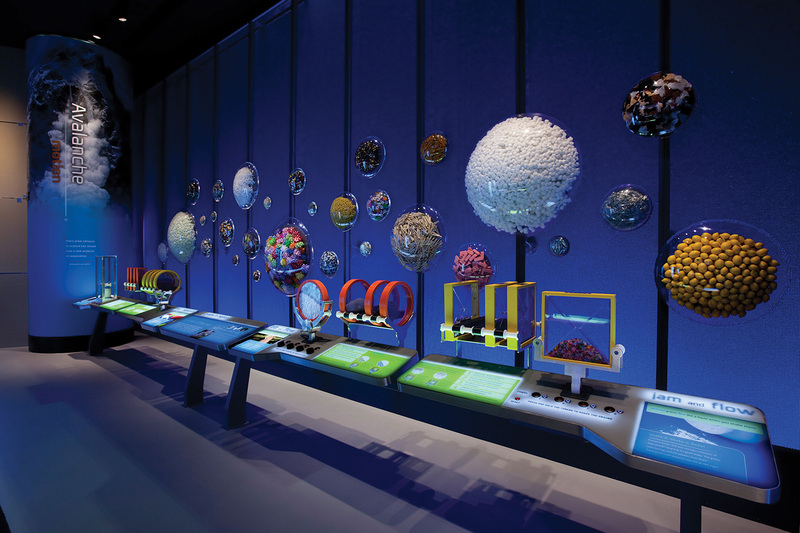 A majority of the exhibits in Science Storms are unique to MSI and set new standards for museum exhibitions. Copyright Evidence Design. All Rights Reserved.